The real estate settlement, or real estate closing, is the culmination of your real estate purchase. It’s where all of the parties involved show up at the same table, sign numerous legal documents, go through an exchange of funds, and ultimately, the new owner walks away with the key to the property. Closing is frequently held at the offices of a title company such as Front Door Title, but may be held elsewhere for the convenience of the parties involved. By the closing date, you have already signed a purchase contract, had a home inspection done, acquired financing, etc. The real estate settlement is scheduled for when everything else is complete except signing the documents and exchanging funds. By law, your lender must provide you with a 5-page Closing Disclosure at least three days prior to your real estate settlement meeting. This document lays out details of your loan, its key terms, how much you will be paying in fees and other costs to get your mortgage to buy your home or other property. Check out this sample closing disclosure form from the Consumer Financial Protection Bureau for an idea of what the document looks like. Charges may increase under the section “services you can shop for” but by no more than 10% of the costs listed on the loan estimate provided by your lender. The three day window gives you time to ask any questions before closing. Front Door Title is a locally owned and operated Title Company serving Harford County, Baltimore County and City, and Cecil County, buyers, sellers, lenders and real estate agents. When it comes to real estate settlement and title research, our staff has more than 150 years of combined experience. 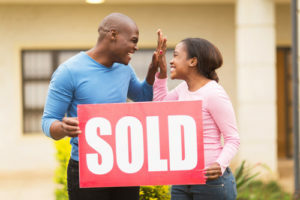 We can handle even the most complicated real estate transactions. We are in compliance with all laws and regulations as they apply to the transfer of real estate. There are a number of fees and taxes associated with all real estate settlements, as well as a number of documents that you may not have heard of before, especially if you are a first time home buyer. 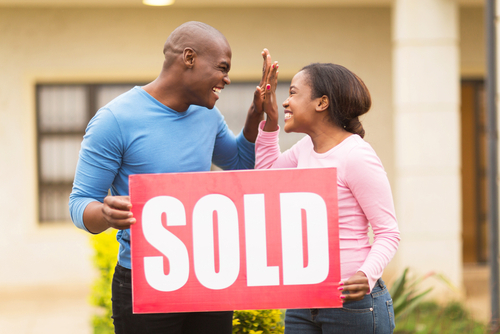 Below, we’ve provided a glossary of sorts to prepare you for closing. These are courtesy of The American Land Title Association (ALTA). Origination Fee: The fee the lender and any mortgage broker charges the borrower for making the mortgage loan. Origination services include taking and processing your loan application, underwriting and funding the loan, and other administrative services. Points: Points are a percentage of a loan amount. For example, when a loan officer talks about one point on a $100,000 loan, this is 1 percent of the loan, which equals $1,000. Lenders offer different interest rates on loans with different points. You can make three main choices about points. You can decide you don’t want to pay or receive points at all. This is a zero-point loan. You can pay points at closing to receive a lower overall interest rate. Alternatively, you can choose to have points paid to you (also called lender credits) and use them to cover some of your closing costs. Underwriting Fee: Paid to the lender, this fee covers the cost of researching whether or not to approve you for the loan. Appraisal Fee: This charge pays for an appraisal report from a licensed appraiser. Lender’s Title Insurance: The title insurance policy, which protects the lender’s investment, required by the lender. Owner’s Title Insurance: The title insurance policy, which protects the homeowner’s investment for as long as they, or their heirs, own the property. It gives the new home owner peace of mind. Settlement Fee: This fee is paid to the settlement agent or escrow holder. Responsibility for payment of this fee can be negotiated between the seller and the buyer. Title Search: A search of the public records of the property being purchased. Attorney Fees: For the preparation of a specific document or representation of one of the parties. Recording Fees: These fees, paid to the county where the property is located, by you or by the seller, depending upon your agreement of sale with the seller. The buyer usually pays the fees for legally recording the new deed and mortgage at the county courthouse. Transfer Tax: This tax is collected whenever real property changes ownership. City, county and/or state tax stamps may have to be purchased as well. Mortgage Insurance Premium: The lender may require you to pay your first year’s mortgage insurance premium or a lump sum premium that covers the life of the loan, in advance, at the settlement. If your down payment is more than 20% of the purchase price, you don’t have to pay for mortgage insurance. Home Warranty: Fee for an insurance policy to protect you from cost of unexpected failures to the major systems and appliances in your home. This is frequently paid by the seller as an enticement to buy their property. Real Estate Commission: This is the total dollar amount of the real estate broker’s sales commission, which is usually paid by the seller. This commission is typically a percentage of the selling price of the home. The percentage may be negotiated as part of the listing contract.